What started the Ultimate Concussion Conference? Did you know that approximately 2.5 million people suffer a traumatic brain injury annually with more than 50,000 dying? How can we sit still when it’s our responsibility to speak up, to inspire change, to give hope and to build a better future? Friends for many years, Dr. Teig and Mr. Schneider saw a need to have a meaningful conversation about concussion. They had a vision of bringing experts to their market to share the latest research, dispel outdated myths, have an honest conversation backed by neuroscience and bring concussion victims, their families, coaches, educators, medical pros and the community into one place. Join the change-makers this October to become a part of the solution. Thirty four years ago, Dr. Don Teig pioneered work in Sports Vision and Visual-Motor Performance Training with Major League Baseball. 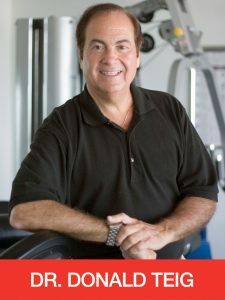 Subsequently, Dr. Teig and his associates would have the opportunity to work with ten major league baseball clubs, the men and women’s pro golf and tennis tours, several NBA basketball clubs, many Olympic teams, teams in professional football and hockey, as well as the dancers in the Joffrey Ballet. He is the Founder and President of Ultimate Events & Entertainment, LLC, a Florida based company where he serves as the Executive Director of “The A Team – High Performance Vision Associates”. 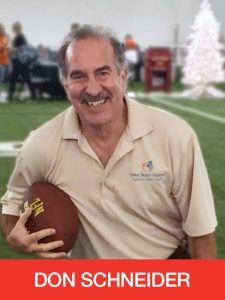 An avid sports enthusiast, Don played numerous sports in multiple intramural leagues. After graduating law school, he has held a number of senior positions with blue chip companies such as GE, The New York Times Company, BMG Entertainment, Winstar Communications and ADVO. He is a Principal in a consulting practice that advises on the development and execution of Human Resources strategies for companies that are in a startup, turnaround or acquisition mode. He has spent significant time performing due diligence for the buyer as well as managing the integration process of newly merged companies with a focus on communication, finance, and learning. Don’t miss the Ultimate Concussion Conference happening in the Miami area this October. Space is limited – don’t wait to sign up!